Our priority is to ensure you belongings are kept in a safe and secure environment. Our Storage facility has 24 hour manned security, CCTV and is fully alarmed. We welcome any inspection should you wish to come along and visit our premises. We offer containerised and private room hire storage, which allows us to cater for all your storage requirements. All our staff are experience furniture handlers and will safely load your goods into the Storage containers placed on our vehicle. Once we have loaded your goods we will issue you with a receipt and accurate inventory, listing all the goods we have loaded to be signed by both parties. Once the containers arrive at our facility they are electronically logged and placed in to postion where they will remain until your further instruction. Once you have a date and would like to take delivery of your goods simply contact our removal team on 020 8807 4999 to arrange re-delivery. Our flexible storage solutions will cater for all your needs, whether, you wish to access and inspect your goods, or have us deliver a certain item(s) or if you would like to add any additional effects. We can also arrange access to a third party under your instruction. No long walks down long corridors often having to use lifts. 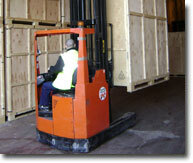 Our storage facility spans over 65,000 square feet, which consists of container storage and private room hire. Please feel free to contact us to arrange a visit and inspect our premises.